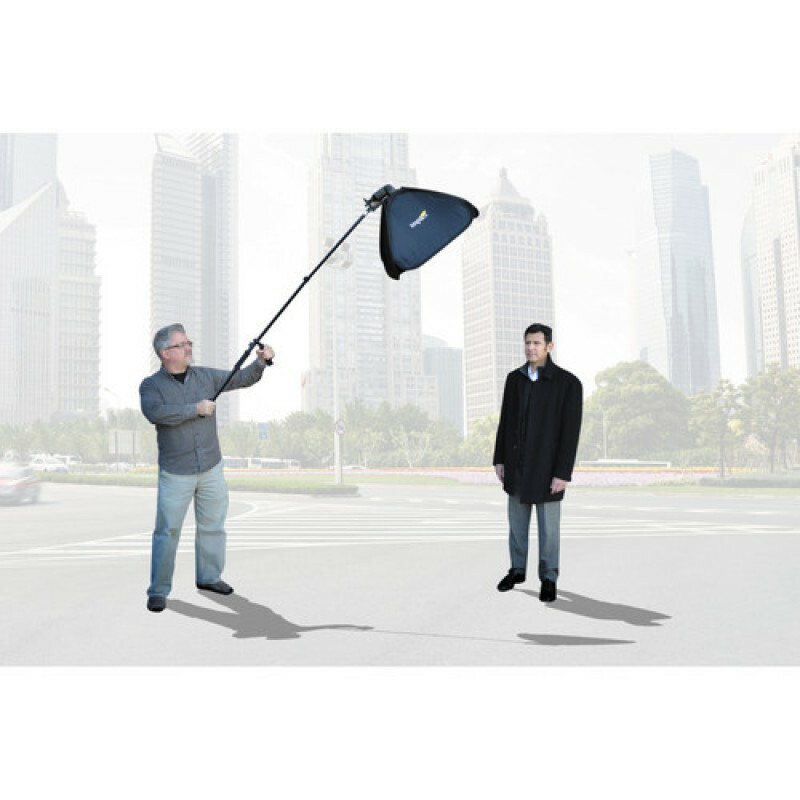 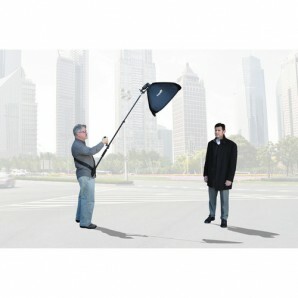 The Impact QuikStik+ Telescopic Handle adds flexibility and functionality to your shoe-mount flash or small strobe with light modifiers such as Impact's Quikboxes or umbrellas. 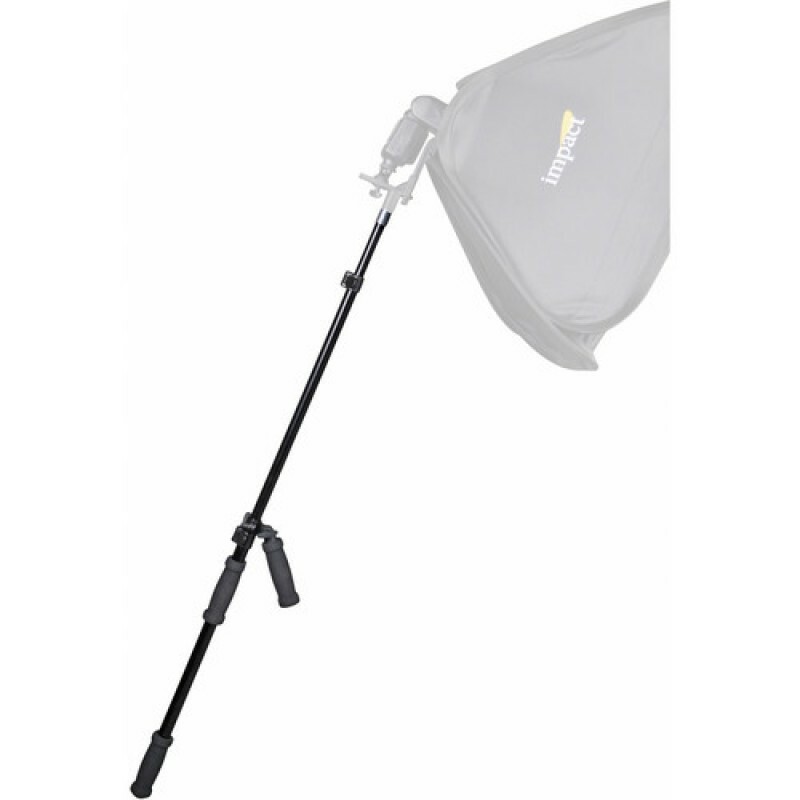 Ideal for use as a hair light, fill light or backlight, the QuikStik+ allows you to extend light sources weighing up to 5.0 lb as much as 5.25' overhead. 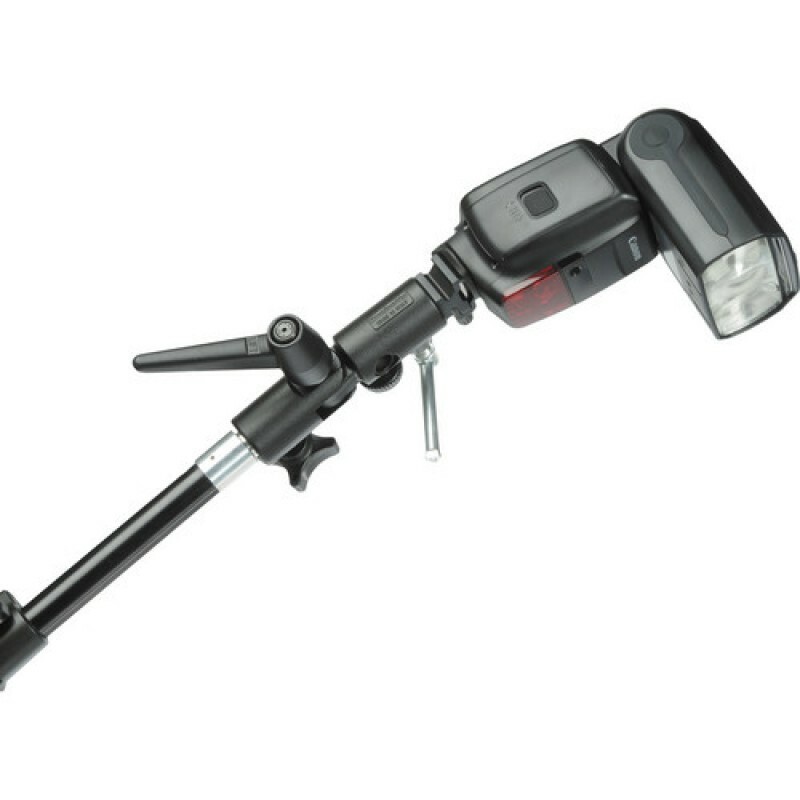 The QuikStik+ features an adjustable swivel handle that has several unique features that promote comfort and precise placement of your light source. 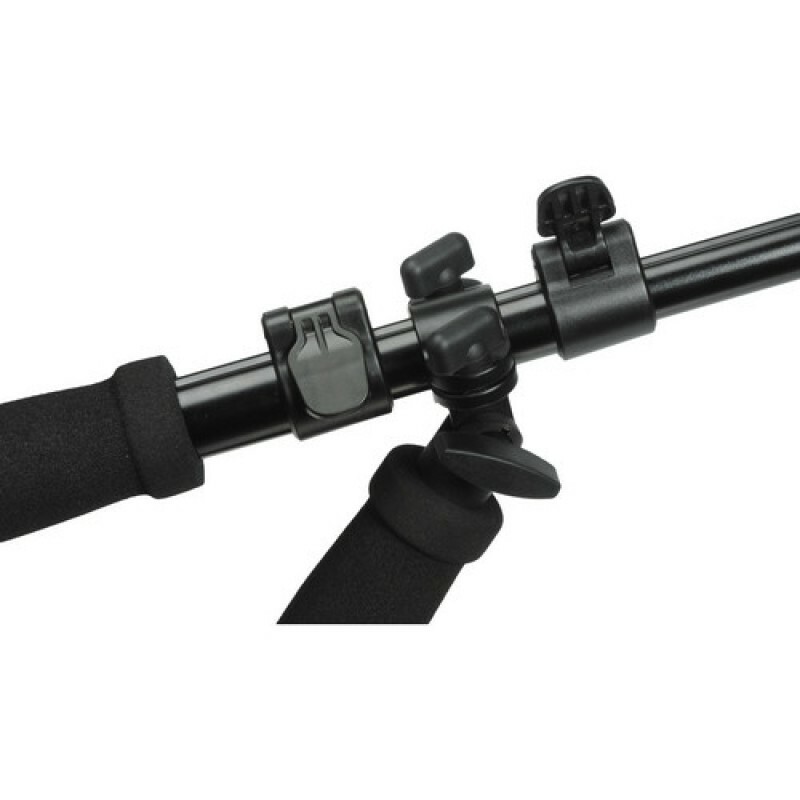 Using the QuickStick+ with 2 hands allows the hand grasping the swivel handle to act as a fulcrum on which the telescopic section pivots to adjust the height. 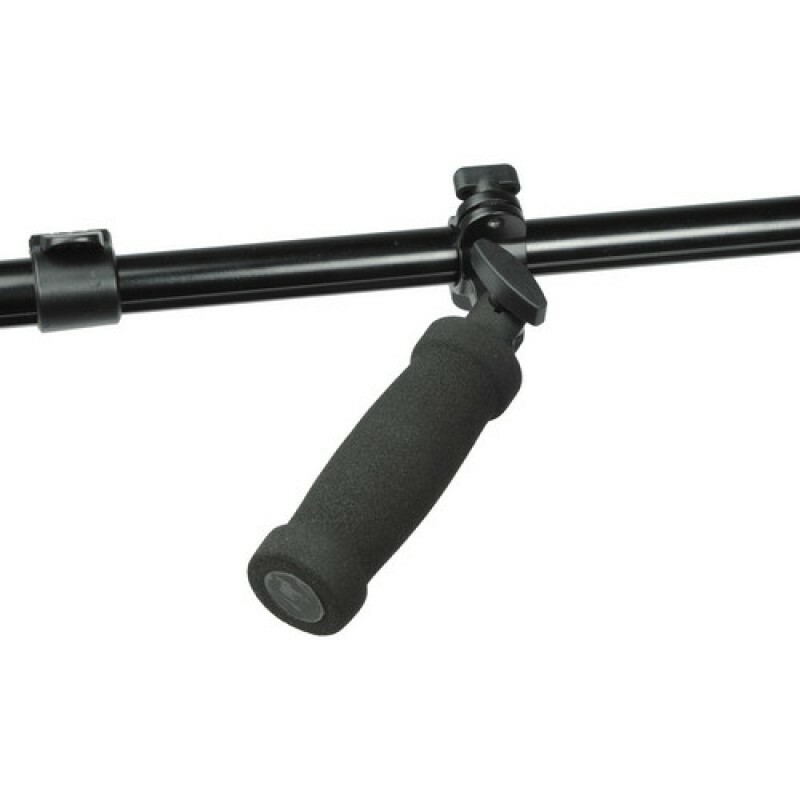 Since the handle can be moved along the length of the pole section, you're able to adjust the center of gravity for ideal balance. 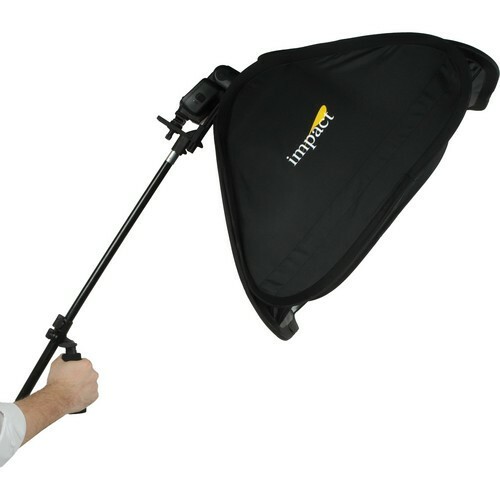 What sounds technical is really fast, simple and intuitive, and the bottom line is comfort. You can make your handle adjustment in less time than it took to read this sentence. 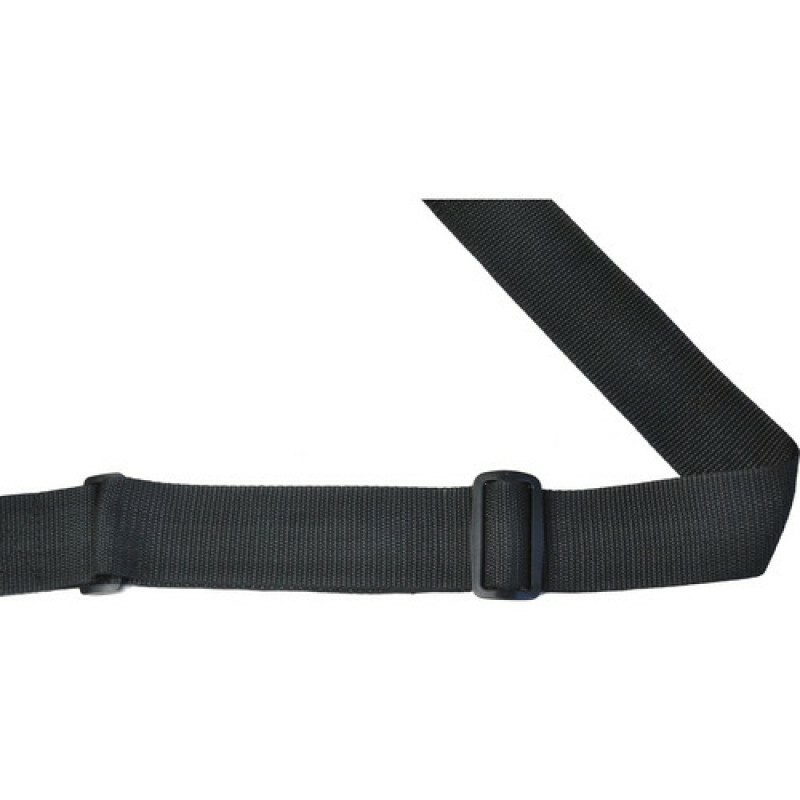 The included webbed nylon flag holder-type strap adds another level of comfort. 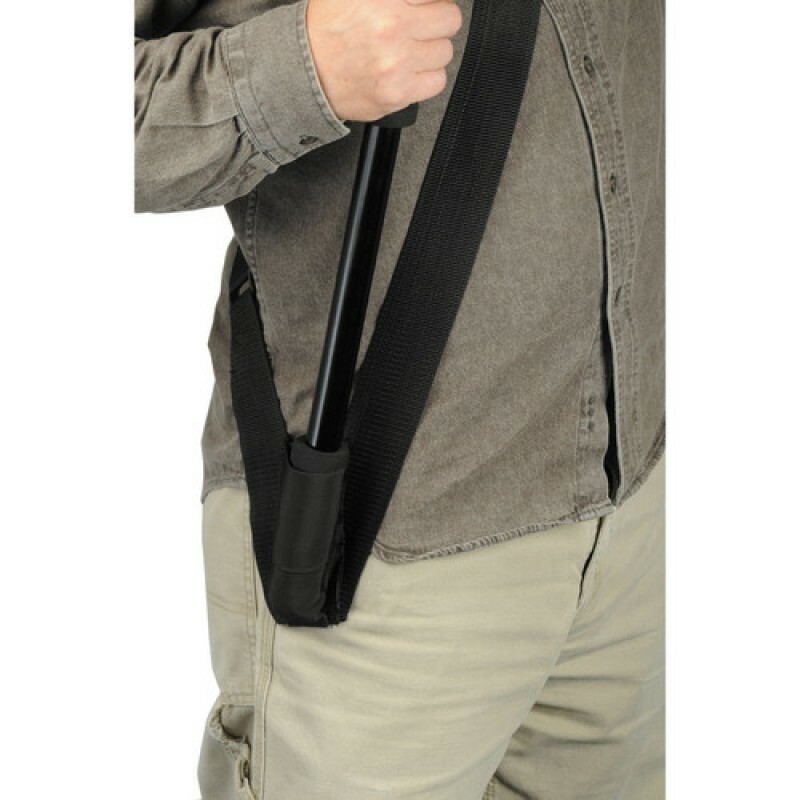 The holder, in conjunction with the swivel handle allows you to shift nearly all of the weight to your hip for one-hand operation over an extended period of time leaving your other hand free for multi-tasking. The top stud accepts any standard 5/8"" female accessory such as the Impact Umbrella Bracket and Multi-shoe Bracket. It is topped with a screw that also permits use of 1/4""-20 accessories.